A woman is in a critical condition after she was dragged under a car in Sandton on Thursday, paramedics said. The incident occurred at the William Nicol and Sandton Drive intersection. She was found lying in the middle of the road just before 7am, said ER24 spokesman Russel Meiring. 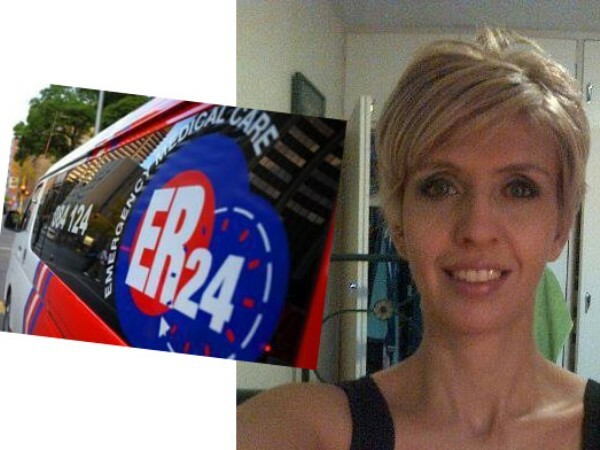 According to Netwerk24 the victim is Suzanne Leyden (36) a teacher at Sandown High School and she is a mother of a young child. "On assessment, paramedics discovered that the woman had sustained multiple injuries to her head and chest after she was dragged under a light motor vehicle for some distance." She was treated on the scene and transported to hospital. "It is understood that the incident occurred when the woman had stopped her vehicle to exchange her details with another driver after a minor collision. The driver apparently sped off, dragging the woman under the vehicle," Meiring said.